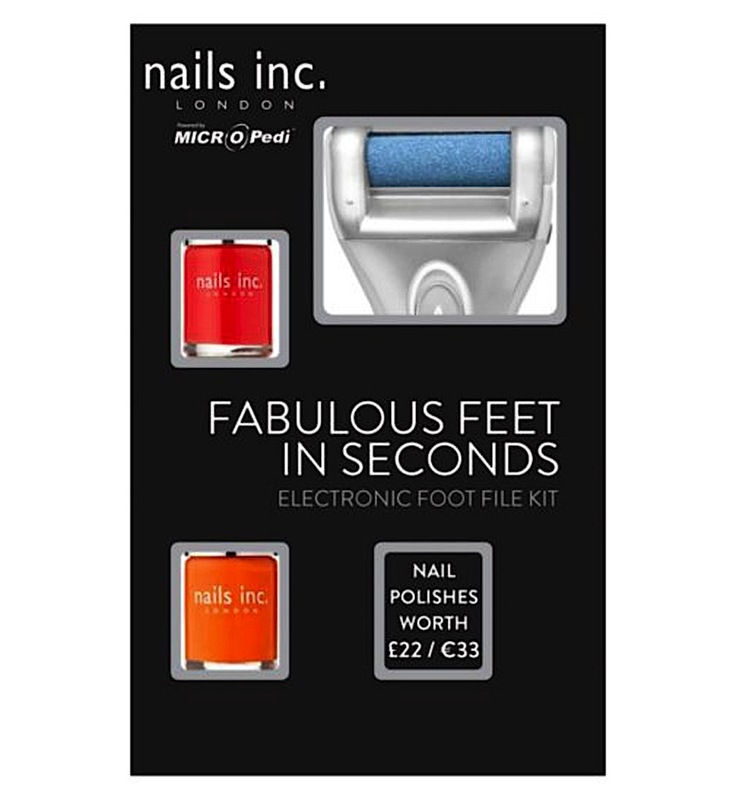 Nails Inc. Micro Pedi Fabulous Feet in Seconds Electronic Foot File Kit There are countless skincare devices but show your tootsies some love with this electronic file. It has mineral rollers that gently buff away dry skin. Bonus: You also get three nail polishes bottles in the kit. Tria Skin Perfecting Blue Light If you have pesky spots that don’t seem to go away, try this blue light treatment. It penetrates deep into the skin to kill acne-causing bacteria. It’s effective but gentle enough to be used every day. Love My Skin Anti-Ageing Pen This budget-friendly beauty tool uses Red Light Therapy to stimulate the production of collagen which helps to reduce the appearance of fine lines and wrinkles. If you’re worried about lengthy treatments, all it takes is a minute, three times a day. Perricone MD Caci Microlift Handheld Toning System This tool looks intimidating but don’t worry, it isn’t going to leave your face red like a beet. It has electrical pulses that utilise a patented muscle gripping action to help lift, tone and firm your face. Can your washcloth do that? Lustre Pure Light Acne Treatment System This acne treatment system uses third generation blue light technology. Unlike a lot of devices, you do not need to use your hands. Attach the three treatment heads to your face then do whatever you want with your digits. Bliss Pore-fector Gadget Keeping your pores in tiptop shape is the secret to a flawless complexion. This multitasking tool helps get your pores squeaky clean by removing built-up grime, thus making them appear smaller. There won’t be any need for pore-minimising products after you use this. HoMedics Radiance Microdermabrasion This dual-action device has a salon-grade diamond tip that exfoliates whilst the vacuum massage removes dead skin. With consistence use, the device will increase skin’s firmness and hydration, making your other beauty products more effective. Temptu Make-Up Airbrush Device Forget about make-up brushes and sponges, you can apply your beauty products with this airbrushing device. It has three speeds that allow you to customise the coverage, so you’re guaranteed a flawless complexion every time. Beauty gadgets may be a lot more of an investment compared to the average day cream or concealer but they are something that you can keep using for years, if you take care of them properly.